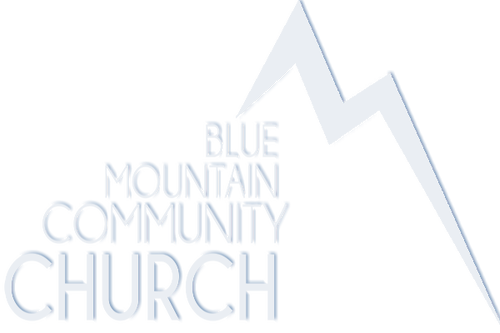 Blue Mountain Community Church is a place where people can meet Jesus, engage in life-giving community, and everyone is welcome. We believe in creating a space where people can have authentic encounters with Christ, discover their gifts and use them for God's glory. We are on a journey just like you, trying to wade through - the best we can - with grace and salvation as our life raft! You'll be welcomed into a friendly, casual environment by people who are excited to see you. We want you to have an idea of what to expect when you arrive. Come as you are and find out more for yourself! Each service to last about 70 minutes starting at 10 am. Fun teaching for your kids. Click here to learn more about Summit Kids. We love coming together on Sundays, but we realize that your life consists of more than that. We want to interact with you more than just once a week, so we built this app. 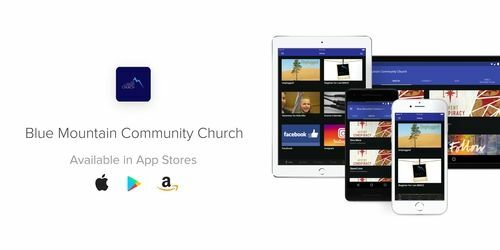 You can put it on your phone and interact with our church family anytime you want. You can watch sermons, sign up to volunteer, find out what time that event is that you wanted to go to, and so much more.